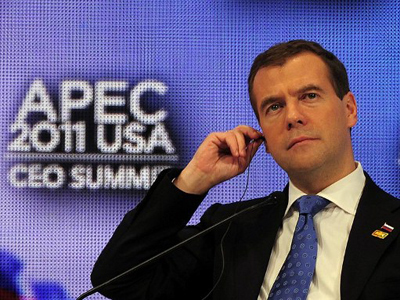 This year's Asia-Pacific Economic Cooperation summit has started in Russia's far east. It's Russia's first time hosting the meeting of the organization, which includes 21 nations from the Asia-Pacific region. ­On Sunday, a meeting of senior officials opened the 2012 APEC summit, which is underway on Russky Island, in the city of Vladivostok. “I’m really pleased to welcome you to the beautiful city of Vladivostok. We are now at Russky Island, where our leaders will get together in just under one week,” Igor Morgulov, a Russian deputy foreign minister, said at the opening of the meeting. Morgulov urged the participants to work productively during the week, so that everything would be in order for the meeting of the APEC nations' leaders on September 8-9. The bloc's International Youth Forum also started its work on Sunday. The forum brings together participants from the US, Canada, Australia, New Zealand, China, Korea, Japan, Russia and other countries. During the three-day get-together, young scientists, students, businessmen and politicians will discuss the most topical problems of Asia-Pacific region and will try to hammer out solutions for them. Some 10,000 guests are expected to visit Vladivostok during the summit week to discuss pressing economic and political issues. 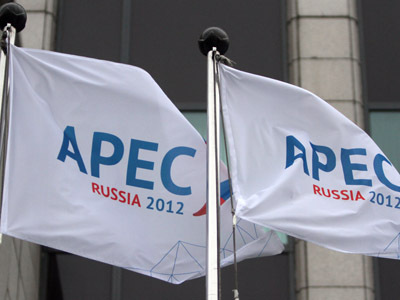 Russia, an APEC member since 1998, has been prepping hard for the event. The summit's budget is estimated at 700 billion rubles (approximately $21.75 billion), including 200 billion rubles (approximately $6 billion) from the federal budget. A brand new complex of buildings was built on Russky Island to accommodate guests and to house summit events. 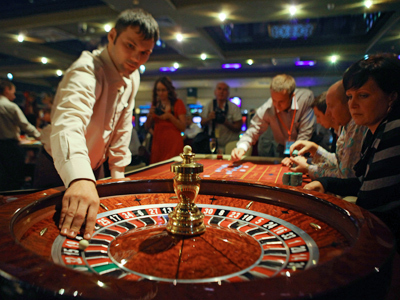 The complex has the infrastructure of a luxury resort and includes tennis courts, water falls and fountains. 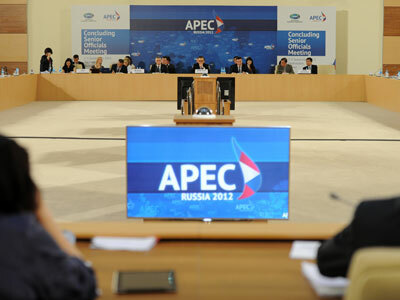 The APEC summit begins a string of large-scale international events in Russia in coming years. In 2014 the country will host the Winter Olympics in the Black Sea resort town Sochi, and in 2018, the World Football Championship. North Korea looks for APEC role?